You will only have access to a very limited amount of our Job Listings and Job Hunting Tools, Oil Industry Content. For full access you will need to upgrade to a PREMIUM MEMBERSHIP. This website is broken down into several distinct, highly informational sections. You can access each of the sections using the navigation menu at left. As you drill down (no pun intended) into each section you will see that there are submenus on the left side of each page designed to help you navigate the section. These are just some of the primary sections of the website – there’s more! Once you’ve conquered all of the material it will be time to enter our JobCenter. 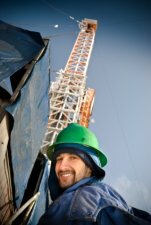 Here you will find our oil company listings, an exclusive list of Featured Jobs, and have the ability to establish your own personal job seeker profile. Oil companies use the JobCenter to find qualified candidates for job openings they have at any given time. In total there are more than 180 pages of oil and gas industry information on OilJobFinder plus the JobCenter features. Time to get started.